“Look! A squishy worm!” A small child lifts her mud-covered hand to show her teacher the worm she found on the preschool playground. Soon a group of children are gathered around the muddy patch, searching for more worms with spoons and shovels. Later, after washing up and returning to their classroom, the teachers help the children document what they learned about worms: “They like wet places. Worms live under logs. They make dirt when they poop.” The teachers transcribe the words on a big piece of paper, spelling out the letters as they write. The children are eager to show their parents the document they created together. 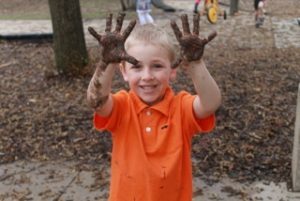 This preschool in Madison, Wisconsin may be hundreds of miles away from the sophisticated financial markets of Wall Street, but a very important and smart investment is gaining value on that muddy playground. High quality early childhood programs, especially those serving low income families, create a rate of return at about 13% per annum, based on a study led by James Heckman, Nobel laureate and economics professor at the University of Chicago. According to Heckman, the value of preschool is delivered to society in the form of reduced health care costs, reduced crime, greater earnings, and other benefits as the children grow up and enter the workforce. The study, called The Life-Cycle Benefits of an Influential Early Childhood Program, analyzes the effects of two large-scale preschool initiatives: The Carolina Abecedarian Project (ABC) and the Carolina Approach to Responsive Education (CARE). Both projects provided quality early childhood care and education to children from birth to age five. Though these initiatives were implemented in the 1970s, Heckman’s work shows the outcomes are relevant today and suggest that the best public policy solutions, such as the funding of early childhood programs, address a combination of issues — such as education, health, and crime – in a coordinated and blended fashion. In a recent interview with National Public Radio, Heckman described the study’s findings and spoke about the key elements of quality early childhood education. Hiring good teachers is a significant challenge, but defining good teaching can be even harder. Heckman comments, “There have been a lot of studies, serious studies, that show that many of these so-called guides to what makes a good teacher — in terms of things like number of degrees or number of teacher credits and on and on and on — are really worthless in terms of predicting who’s a good teacher. What is important is finding this empathy, this ability to work with people, the engagement.” Heckman goes on the describe empathy as the ability to engage with a child in a conversation that challenges children to ask questions and think deeply. Finding an early childhood program where teachers engage with children in meaningful conversations can be difficult, especially in low-income communities. 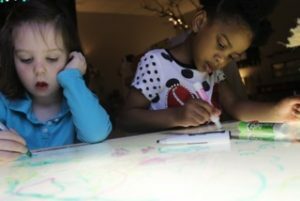 One model that emphasizes this type of child-centered curriculum is the Reggio Emilia approach, named for the Italian city where the model was developed more than 50 years ago. Schools that practice a Reggio Emilia approach do not use a pre-written curriculum – the activities and lessons are developed through a collaboration between children, teachers, and families. 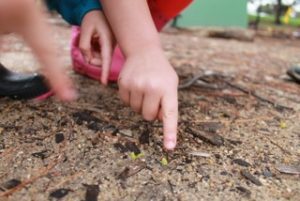 If the children demonstrate an interest in a topic, such as worms, the teachers facilitate the development of a learning project that may last for weeks or even months. In the example of the worm study, children learn vocabulary and literacy skills as they ask questions about worms and write down their ideas and observations. They also learn early math skills when they measure and count the worms, in addition to the many science concepts covered during their outdoor explorations. 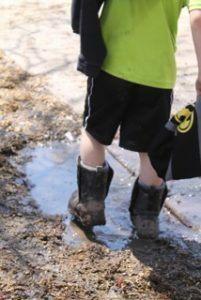 The muddy playground described earlier is part of a unique early childhood program called Preschool of the Arts (PSA) in Madison, Wisconsin. PSA serves 200 children, starting as young as 18 months old. The importance of empathic, responsive teaching, as described by Professor Heckman, is emphasized through the integration of the arts in the PSA curriculum, including visual arts (painting, drawing, sculpture, etc. ), music, and dance. Following a Reggio Emilia-inspired curriculum, teachers facilitate long-term investigations based on children’s interests. Project topics have included far ranging subjects such as birds, tents, planets, bones, and goats. Recruiting and retaining exceptional teachers who are able to lead this type of responsive, child-centered curriculum requires a level of funding that is not typical of early childhood programs in the United States. The primary source of income at PSA is parent tuition, which is relatively high for this Midwest community. As an independent nonprofit organization, PSA must seek resources beyond parent tuition in order to serve an economically diverse population of children and families and, thus, create the lasting economic benefits described in Heckman’s research. The support of the Ruth & Hal Launders Charitable Trust helps Preschool of the Arts expand its reach by providing funds for both tuition assistance as well as outreach programming. At Preschool of the Arts, developing community partnerships is another important strategy for implementing quality early childhood programming that provides benefits beyond the walls the of school. In the summer of 2018, PSA launched a new outreach program that involves a series of child-centered art classes for low-income Head Start students in Dane County, Wisconsin. The classes are taught by PSA staff members who are trained and skilled in both arts integration and trauma-informed care. A grant from the Ruth & Hal Launders Charitable Trust supports the development of the pilot curriculum, the staffing and implementation of the classes, as well as the art materials and children’s books that the Head Start teachers will use to extend the benefits of the art classes into other elements of the children’s program. Frederick Douglass once noted, “It is easier to build strong children than to repair broken men.” The benefits of these initiatives that expand access to quality early education will extend well beyond the time these children spend in a preschool classroom. As decades of research into early childhood education has proven, we will all profit from these early investments. Contributed By Guest Author: Ann Gadzikowski. 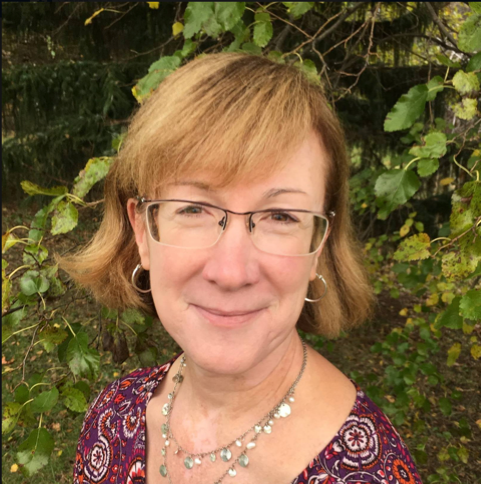 Ann is an author and educator with a passion for challenging children to think creatively and critically. A graduate of the Erikson Institute, Ann has more than twenty-five years of experience as a teacher and director of early childhood programs. She is the author of curriculum books, teaching guides, classroom readers, and numerous publications for parents of young children. Ann serves as executive director of Preschool of the Arts, a Reggio-Emilia inspired school in Madison, Wisconsin. Ann is a frequent speaker at professional conferences, such as the National Association for Young Children.